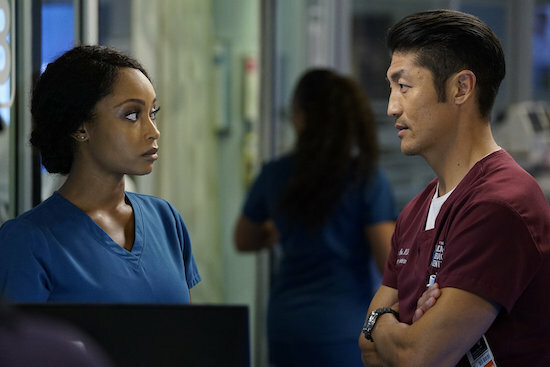 CHICAGO MED’s Ethan (Brian Tee) has his sister, Emily (Arden Cho), back, but it’s cost him his relationship with April (Yaya DaCosta)…at least temporarily. Though the duo are estranged, Ethan approaches April in the season premiere with a request on his sister’s behalf: Emily wants to make amends at Connor’s (Colin Donnell) going away party. But how will Ethan react? Check out this CHICAGO MED season 4 premiere exclusive clip!